What makes for "great" preaching? F.W. 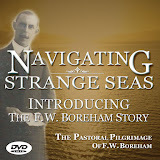 Boreham said that it was 'great writing' that made for great preaching since writing helped the preacher to collect his thoughts and select the best words with which to express himself. It is noteworthy that the most effective preachers throughout history have also been great writers. The seventeenth century Puritan preacher, Richard Baxter, is considered one of the greatest preachers of all time and he was also a prolific writer. The eighteenth century preacher, Rowland Hill, often preached to over 20,000 people near London and was considered one of the greatest preachers of all time. He too was a prolific writer. And of course the nineteenth century preacher (known as 'the Prince of Preachers'), Charles Haddon Spurgeon preached in the Metropolitan Tabernacle to nearly 18,000 people a weekend and is generally considered the most prolific Christian author of all time. But philology (the love of words) is just one component of great preaching. Augustine of Hippo, who ministered in the fifth century in a Northern African seaside village, said he would much rather upset the grammar experts with the misuse of words in a sermon but be understood by his largely illiterate audience of fishermen and peasants! Yet Augustine's writings are still considered among the most profound of all time. I love preaching. One day I hope to become good at it. It's one of the reasons why I'm so fascinated by people who are really good at it. I try to analyse their preaching and glean lessons for my own preaching ministry. I find myself searching out the great preachers of history in order to do this. Perhaps history will record that several of the preachers of today deserve similar recognition and status to these other preaching greats, but at the moment most of those designated by the popularity polls as 'great' preachers couldn't really hold a candle to some of these past preaching greats. But I admit it, I'm the odd one out in this opinion. I've attended the meetings of some of these modern, international pop-preachers and observed how most of the throng disagree with me. Apart from being bewildered by this at times, I simply wonder if my standards might be too high? Some preachers are really teachers who rarely preach. Some preachers try to be teachers who actually demonstrate why they can't teach. Teaching and preaching are different disciplines. Preaching includes an element of instruction and therefore in that sense involves teaching. And if most teachers know what's good for them and their audience they will spice their teaching with a dose of preaching to maintain interest. Perhaps the simplest way to distinguish teaching from preaching is that while teaching 'informs', preaching 'inspires'. Another way of saying the same thing is, teaching 'mends' but preaching 'moves'. Good preaching should 'move' the hearer to action. Great preaching moves hearers greatly. But move where? The Bible's consistent message is that people should be moved toward God. Great preaching can simultaneously move sinners to the Saviour, desperates to the Deliverer, and the conceited to the Conqueror while driving the saint into the Son. To do this the preacher must explain, instruct, inspire and convert his audience. He will use great words, great simplicity, great drama, great illustrations, with great zeal and fervour for the great cause of a great Christ. This world greatly needs more great preachers.